Racing's greatest extrovert and finest ambassador, Frankie Dettori, won his first Qatar Stewards' Cup thanks to 6/1 shot Magical Memory, and with it landed the Racing UK top jockey title for the Qatar Goodwood Festival. Legatissimo wins the £600,000 Qatar Nassau Stakes impressively from Wedding Vow and Arabian Queen. 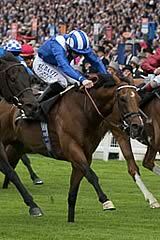 Muthmir narrowly got the better of last year's winner Take Cover in a thrilling Qatar King George Stakes. So Beloved provided David O'Meara with a significant triumph in the lucrative Betfred Mile. Big Orange outbattled his rivals to claim a thrilling victory in the Qatar Goodwood Cup at the Sussex track. Shalaa impressed as he powered home under a penalty in the Group Two Qatar Richmond Stakes. 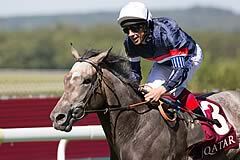 Solow becomes the first French horse to win the Sussex Stakes since Bigstone in 1993. Kachy took a step up in class in his stride with victory in the Fairmont Molecomb Stakes. Highland Reel ran out a determined winner of the Neptune Investment Management Gordon Stakes on Wednesday. Toormore wins the Lennox Stakes for Richard Hannon & James Doyle, his first race in the cobalt blue of Godolphin. Frankie Dettori gets his Festival off to a dream start as Galileo Gold lands the Qatar Vintage Stakes. Frankie Dettori, following his first victory in the Qatar Stewards' Cup, is the top rider at the Qatar Goodwood Festival with six successes and cannot be caught, with his closest pursuers on half that number. He was presented with the Racing UK leading rider award by the Lord March after the Qatar Stewards' Cup. The jockey said: "It has been an unbelievable week - if you get one or two winners it is good but to ride six is amazing. "The Stewards' Cup has been bugging me for over 20 years and I have finally managed to do it - I had a good horse who was very brave. Magical Memory is only a three-year-old and you would expect him to improve. "It has been phenomenal - I enjoyed the crowd this week - they have been very warm and thankful. We have been blessed by sunshine and some great races. "Al Shaqab had three winners yesterday and an amazing week. Sheikh Joaan was here to watch and loved it. Qatar has put a lot of money into this meeting and I think it has been a success all round. "Shalaa (winner of the Qatar Richmond Stakes) is the best horse I have ridden this week - he was in third gear when everybody else was pushing away and he ticks all the right boxes - he is a very exciting ride. "We are going to miss Richard Hughes - I am very sad. He is a good friend of mine and is a good benchmark for everybody. I wish him all the best for his new career as a trainer although I think he might be a hard person to ride for! "I started the year really well and it has snowballed from there - I won the Derby and had a dream Royal Ascot. When you start riding winners, everyone wants to put you up. It has all just happened - long may it continue." Dettori is the winning-most current jockey at Goodwood, with 190 wins to his name at the Sussex course, including 64 at Qatar Goodwood Festival. His other successes as leading rider at the Qatar Goodwood Festival have come in 2006 (5), 1999 (6), 1995 (6) and 1994 (4). Mouth watering Sussex 'Duel' in prospect Glorious Goodwood is fast approaching and already anticipation is growing for what should be a fiercely competitive renewal of the Qatar Sussex Stakes on Wednesday 29th July. 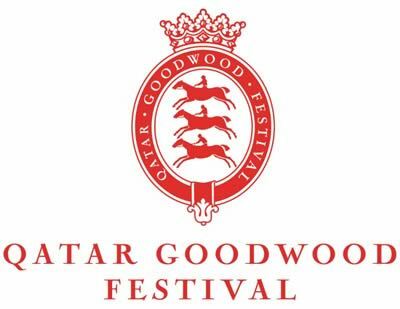 Goodwood Racecourse announced a new 10-year partnership with Qatar, which is the single biggest sponsorship deal ever done for the benefit of British racing.